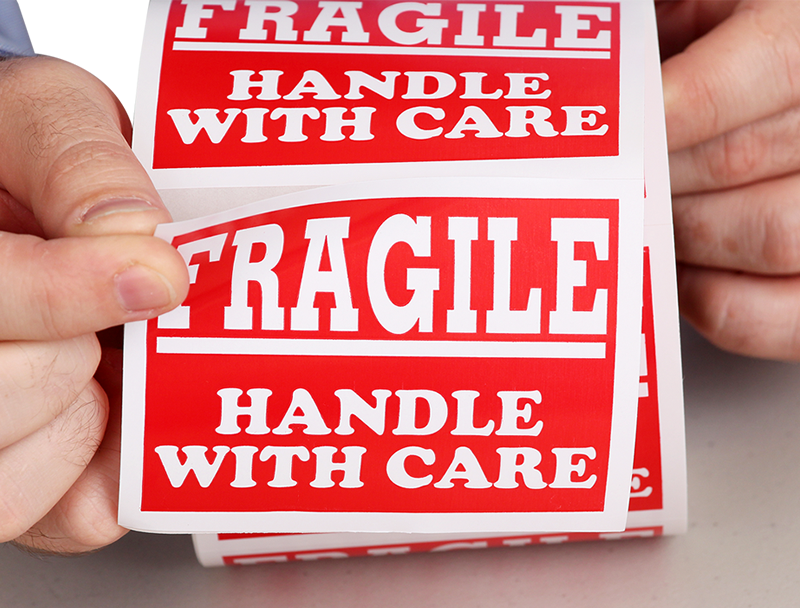 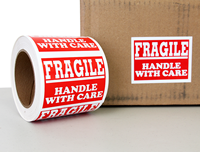 Our traditional Fragile label has been used millions of times to help insure that your package is handled with care. 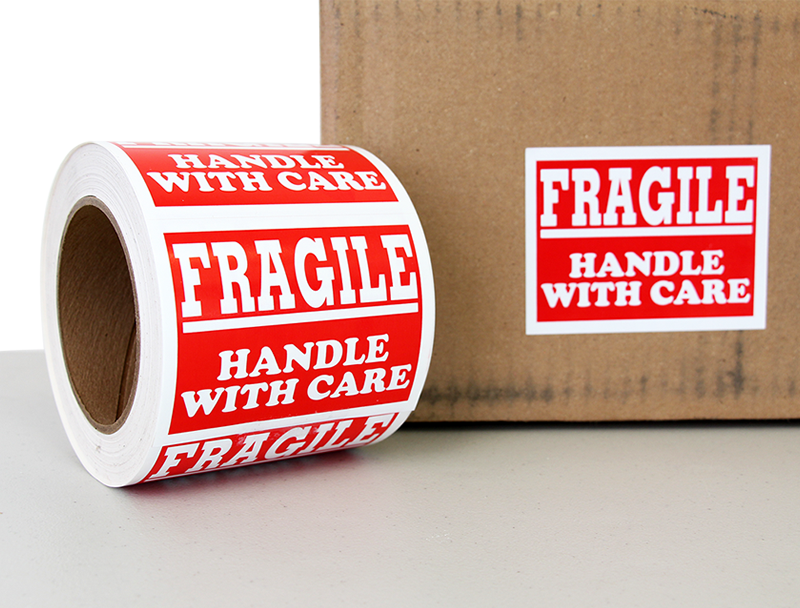 • Large red label stands out from the clutter. 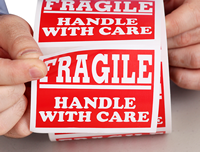 Easy peel and stick at very cost effective price.